Did You Win The Acclaimed MANCHESTER BY THE SEA On DVD? 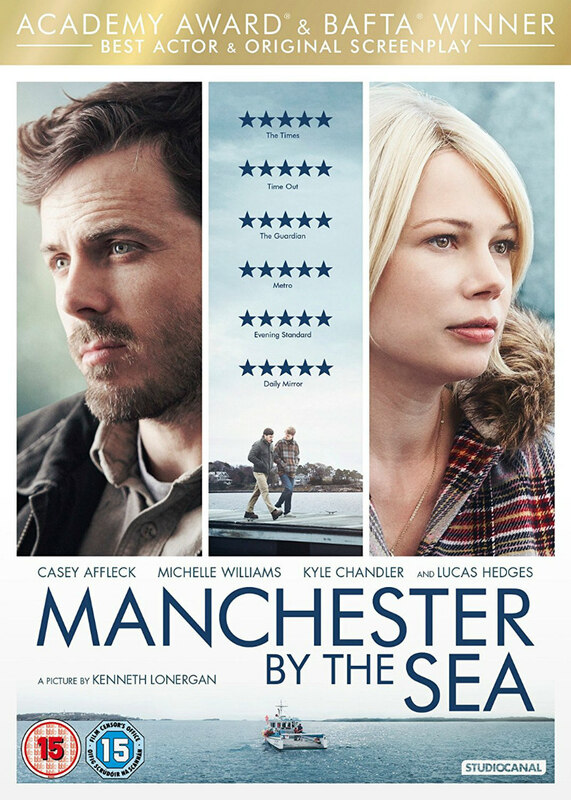 Manchester by the Sea arrived on UK DVD/blu-ray/VOD May 15th, and we've got three DVD copies to give away. One of our favourite films of the past year, Kenneth Lonergan's outstanding Manchester by the Sea comes to UK DVD, blu-ray and VOD on May 15th, and is available as a digital download from May 8th. We've got three DVD copies to give away to UK readers. From acclaimed writer/director Kenneth Lonergan (You Can Count On Me) comes the Academy Award®, BAFTA and Golden Globe-winning MANCHESTER BY THE SEA. Led by a mesmerising, career-best performance from Casey Affleck (The Assassination of Jesse James by the Coward Robert Ford, Gone Baby Gone), who took the Best Actor Academy Award® for his portrayal of a man battling the demons of his past, MANCHESTER BY THE SEA arrives on digital download on May 8th, and on Blu-ray, DVD and On Demand from May 15th, 2017, courtesy of StudioCanal.